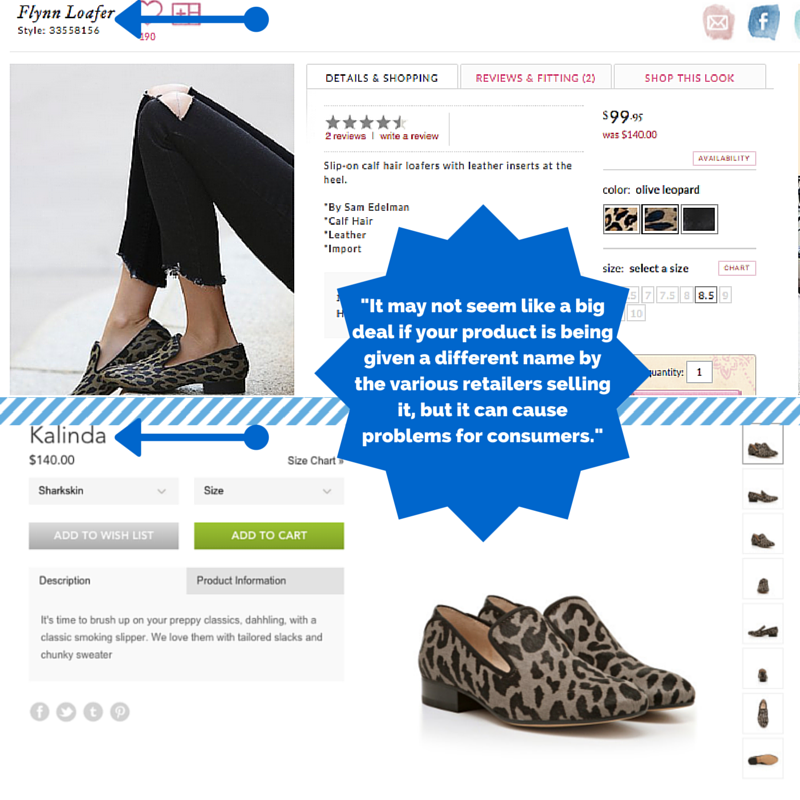 Are You Shop-Blocking Your Customers? It's easy for brands and retailers to get so focused on the big picture that the small things get overlooked, but one bad shopping experience is enough to alienate an otherwise loyal customer. In fact, it takes 12 positive experiences to make up one unresolved negative one. Use our list as a perfect look at what not to do to ensure you're providing a fantastic eCommerce shopping experience. It may not seem like a big deal if your product is being given a different name by the various retailers selling it, but it can cause problems for consumers. Thanks to eCommerce's democratization of retail, shoppers can find your products through numerous outlets, but only if they know what name to search for. Make it easy for your customers to find the products they're looking for: make sure you're giving retailers complete and accurate product information so that they don't have to make up a product name of their own, and shop-block your customers in the process. Online shoppers don't have the ability to stroll around a store and check out items at their leisure: they're dependent on the search and navigation capabilities of your eCommerce site. Thanks to the pesky internet, shoppers have a short attention span, and forcing them to scroll through hundreds of items that aren't of interest to them will prevent them from finding the one product they can't resist. Modern consumers aren't just impatient, they also expect things to be customized to their specifications. That's why it's crucial to offer highly detailed product categorization. We're past the days when shoppers would appreciate a site with categories like “Pants” and “Shirts” - if one of your customers is looking for a slim-fit wide lapel black and white blazer, they should be able to peruse all of your slim-fit wide lapel black and white blazers with a few simple clicks of the mouse - even if you only have one contender. When eCommerce burst on the scene, the convenience of having products shipped right to your door was a thrill, but today it's simply another thing for shoppers to keep track of. 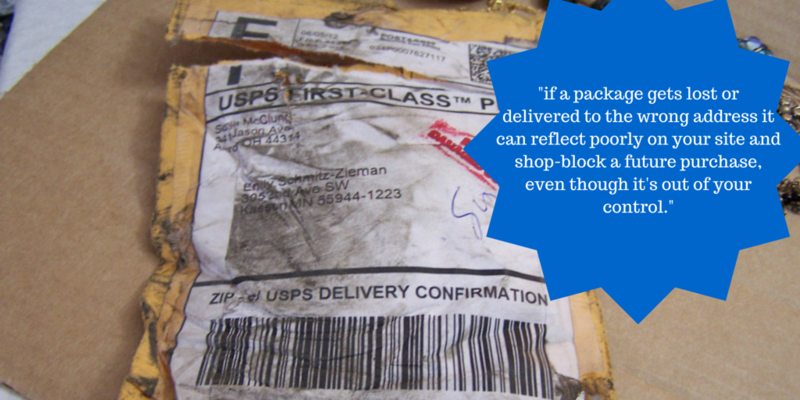 Unfortunately if a package gets lost or delivered to the wrong address it can reflect poorly on your company and shop-block a future purchase, even though it's out of your control. The truth is, unless you want to start your own delivery service on top of your current business, it's impossible to have complete control over your customers' shipping experience. However, you can combat this by providing superior customer service to shoppers - if a package is lost or missing, don't hesitate to replace the item as soon as possible with expedited system. It may cost more now, but trust me, it will make a huge difference in the long term. Knowing that you care enough about their shopping experience to go the extra mile will make shoppers feel valued, and in term more likely to shop with you again. For apparel and accessories sites, inconsistent sizing can be the kiss of death. Shoppers are going to hesitate to purchase if they're not sure what size to order. Yes, the fabric and the cut of a garment or shoe can make a difference, but if shoppers are forced to order three different sizes every time they want to order something - they won't. Take a look at the negative reviews on apparel or shoe sites: one of the most common complaints is that the item didn't fit appropriately. The great thing about eCommerce is that you can control how much information you give your customers. Yes, it's easier to slap a single size chart onsite and let them figure it out, but in the long term, it's not doing you any favors. We all know that pants, dresses, and skirts all fit differently, so why would it make sense to have the same size chart everything? Create a unique size chart for each type of garment and include the model's measurement. Don't forget to be honest with your shoppers: if the model is wearing a size Medium but it's clipped and pinned to hang a certain way, tell them. 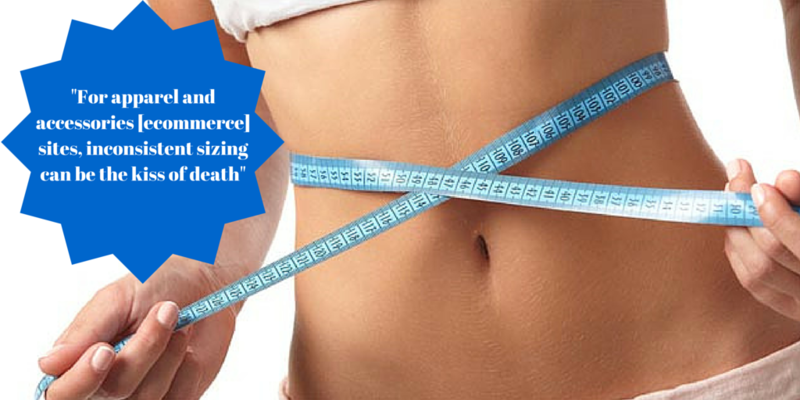 If a particular style runs a size big or half a size small, tell them. 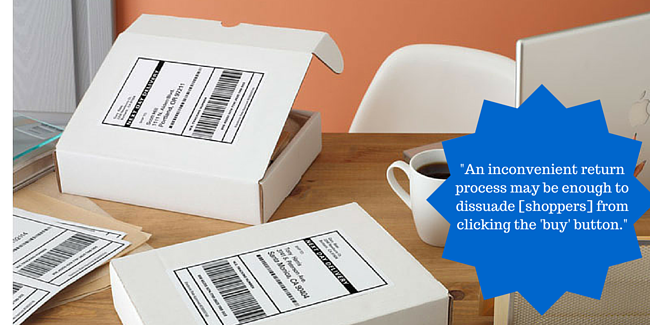 Even if you have the most accurate, detailed product information in the world, returns are just a fact of life. Your customers understand that they may have to return a product they order online, and an inconvenient return process may be enough to dissuade them from clicking the “buy” button in favor of a brick and mortar store. Mark my words: the sooner you start offering free returns to you customers, the sooner you'll see a boost in conversion. Do a quick survey of extremely successful eCommerce sites like Shopbop, Everlane, and ASOS and take note - they all offer free returns. The convenience factor is certainly important, but it's more than that: offering free returns is a power move that communicates confidence in your brand and your product, and that's priceless.